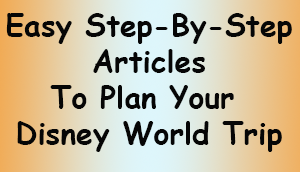 You are at:Home»Easy Steps for Planning Your Disney World Trip»How Long Should My Disney World Trip Be? 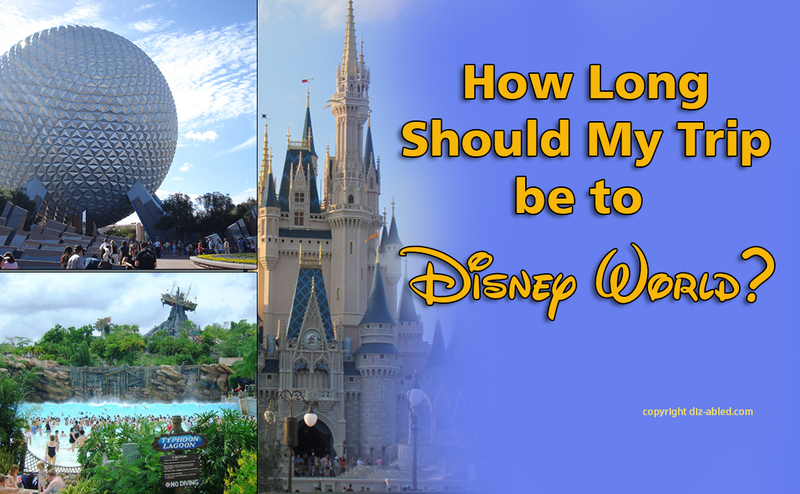 How Long Should My Disney World Trip Be? How many vacation days you get from your job. Other Orlando area attractions you’ll want to see. The pace you can maintain. In addition, here are some things to factor in when you decide. What’s there to do at Disney World? Resort activities like dinner shows and restaurants, horseback riding, bike riding, etc. Pool relaxation time and activities for those staying in Disney resorts and villas. Most people travelling by plane will want to see all the main parks. Many will want to include a visit to Disney Springs. Some will want to try the water parks. Those who have time will add in some of the above activities and more. How long does everything take at Disney World? We’ll break it down for you, but everyone is different and conditions at Disney change regularly, so please take these as loose estimates. Also consider that you could hang out in the Disney parks for weeks and still not see everything there is. The estimates below are really about hitting the major attractions. Keep in mind that crowd levels make a huge difference. You can get radically more done on a day where crowds are low than you could on a peak crowd day. We’ll assume that you’re going during a moderate crowd period for the purposes of this article. If you’re going during a peak period, you’ll want to factor that in. Magic Kingdom – 1 full day minimum, and 2 days is recommended if possible. Epcot – 1 full day minimum, and 2 days is recommended if possible. Hollywood Studios – Currently 1 day, even with the attractions that were removed. For Disney Springs, you could spend a full day there to explore, but many people enjoy visiting on the evening they arrive or the day they’re leaving. It’s also a nice place to visit in the evenings after a day at one of the main parks, a water park, or a day spent relaxing by the resort pool. It’s up to you! Also keep in mind that you could explore each of the 4 main parks for days and still find new things to see (especially Magic Kingdom and Epcot). Relaxation/Down time Days at Disney World: You’re on vacation to relax, but when you plan your length of trip, you may want to add days outside of the parks. Consider that when you visit the parks, you’ll be walking miles each day. Some people will need to rest in between park days. For information on how far you’ll walk, check out this article on knowdw.com. So how many nights should I stay for? Ultimately the number of nights you’ll book depends on what you want to do, and on your personal situation such as your budget, work vacation days, etc. To help you figure out your optimal length of stay, you’ll want to add up the minimum number of days you’ll need to see and do everything you want, and then you’ll need to add at least two travel days to that (depending on where you are and how long it takes you to get to Disney). Then you may want to add in days for relaxation, to visit other Orlando area attractions, etc. 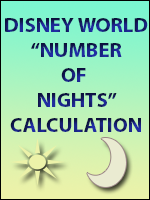 Once you’ve decided on what you’d like to do at Disney, you can use the following equation to determine the number of nights you want to book, or you can pick from the info below that. Here are our thoughts on what the number of nights you choose gets you. Keep in mind that if you’re visiting during a peak crowd period, you’ll need to figure in more time for waiting in lines and getting through crowds. This is great for locals or for those who don’t have to travel far, who are looking for a nice long weekend getaway. 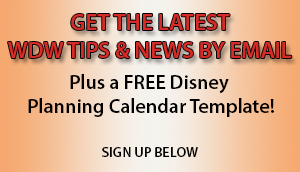 This will get you 2-3 full days to either visit the parks or to enjoy other Disney activities. It’s very short, but makes for a fun and relaxing couple of days. We live in South Florida so it’s about a 3 1/2 to 4 hour drive. We enjoy getting away to Disney for long weekends, and we find that 3 nights are just enough to get in some relaxation and to take in a park or two. We hang out at the resort pool, and visit the parks or Disney Springs in the afternoons and evenings. If you’re on a tight budget or crunched for time, but during a 3-4 night visit, you may be able to get in 2-3 park days, so if that’s the most you can get, we think it’s worth doing! This gets you 4 full days to enjoy Disney World. That can get you a main park a day, or the inclusion of other activities inside or outside of Disney World. If you’re visiting a park a day, make sure you have the stamina for this. Consider that you’ll be walking miles a day. This will get you 2 travel days and 5 days to fill as you please. This gets you some more freedom. You could visit all of the 4 main parks for a day each, and you could visit one of the parks a second day. Or you could visit 2 or three of the main parks and fill in the other day(s) with either visiting one or two of the main parks a second time, or with other activities inside or outside of Disney World. 6 nights can also get you some time to relax by the pool, and to experience attractions you may have missed if you had less time. This will get you 2 travel days and 6 days to fill as you please. This is what we do most of the time. We find that it gives us time to enjoy our resort’s pool, to revisit the main parks and to enjoy Disney Springs. Here’s my personal take. We find that when we stay 6 nights, we almost always find ourselves wishing for one more night. Yet when we stay 7 nights, we feel that we’ve had our fill and that we relaxed fully. We’re ready to go home without being too upset about it (though even more nights at Disney would be great). Anything more than 7 nights will free you up to explore and experience more of Disney, but we’ll skip right to 13 nights. Many people choose to stay at Disney for two weeks, especially international visitors and those who are coming from a distance such as the west coast of the United States. This is great if you can do it! It gives you 12 full days to explore, relax and enjoy Disney World and the Orlando area. It allows for some down time as well, and for handling Jet lag. If you’re staying this long, if your budget allows, you may want to consider renting a Disney World Villa with a kitchen and some extra space. Two weeks is quite a long time to eat only in restaurants. If you’re staying in a hotel room, it’s a long time to stay together with others in very close quarters. A villa will help you stay healthy and to relax more. If you’ve already been to Disney, please post below to tell us how long you went for, and whether or not your length of stay worked out well for you.